Niche streaming video services continue to proliferate. 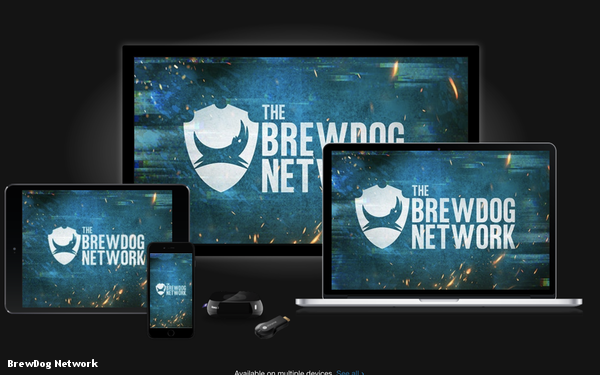 Now, there is one more niche being filled: The craft brewery BrewDog and its founders, James Watt and Martin Dickie, are launching a new subscription video on-demand service targeting beer and wine lovers. Called The BrewDog Network, the service will be a general entertainment service, with beer, wine and spirits at the center of its programming. The service will be ad-free at launch and cost $4.99 per month; new content is being added regularly over the first year. At launch, it will be available through app on iOS and Android, as well as on the web. Indeed, perhaps the most notable thing about the service is that it has a launch slate of 14 original programs and has acquired a slate of programming. All told, the service has a launch slate comparable to niche services begun by larger brands. It was started by a brewery and the production company behind the original TV program, Redtail Media. “The Brew Dog Show” is not the only cult hit show being resurrected. “Four Sheets,” hosted by comedian Zane Lamprey, is a reboot of Lamprey’s show “Three Sheets,” which previously aired on Travel Channel and Spike, and sees the host traveling the world and trying out local alcohol-related traditions. 2 comments about "Brewers Bet On Booze To Fuel New Streaming Service". Darrin Stephens from McMann & Tate, August 27, 2018 at 5:42 p.m. Remember Bud TV? Didn't think so. John Grono from GAP Research, August 27, 2018 at 6:14 p.m.
Maybe it was a typo Darrin. Dud TV?